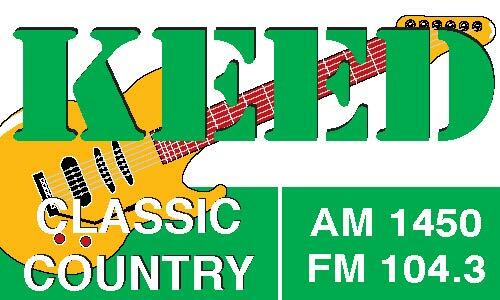 KEED AM 1450 & FM 104.3 CLASSIC COUNTRY is the area’s only Classic Country Station broadcasting both AM and FM, 24-hours a day. Playing iconic country artists, such as Patsy Cline, Willie Nelson, Hank Williams, Sr. & Jr., Garth Brooks and Brooks & Dunn, from the 60’s, 70’s, 80’s and early 90’s. Locally Owned & Operated. The KEED audience consists of 50% men and 50% women, 34 to 64. Who listens to Country Music? Country Music fans are the most loyal, they are established, most own homes, many are parents.